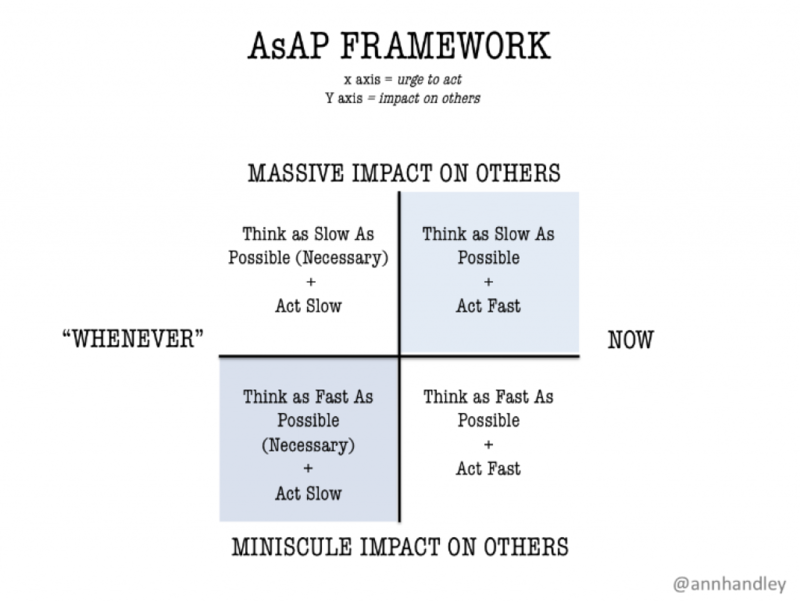 As slow As Possible (AsAP) is the counterintuitive way to thrive in a fast-paced world. The key is slowing down at the right moments. Because that’s what will deliver faster, more sustainable results in the end. Sounds weird, right? But it’s true: AsAP Is the Key to Less Stress, More Success, Real Results. But what’s a Slow Moment? It’s here: Stories. Science. Framework. I’m about as impatient a person as they come. I couldn’t tolerate waiting for water to boil, so I bought an instant kettle that delivers my tea in 90 seconds. That rainbow spinny wheel of death that pops up when a webpage takes too long to load or to save? I like to go fast. I like speed. Most of us do. But here’s the problem: In our always-on, mile-a-minute, accelerated world… we’re often missing out by moving too fast. So fast, that we don’t know when we’re missing out—and what we’re missing out on. Some things do need a slower, more thoughtful approach. But what’s more: There’s magic in knowing which moments to embrace as Slow Moments. Which is why we need to prize AsAP, or As slow As Possible (small s), over ASAP, or As Soon As Possible (Big S) at deliberate, specific times. This is true if you are a marketer, a writer, a CEO, a student.. or a butcher, baker, or candlestick maker. Slow business. Slow content marketing. Slow leadership. It’s all part of the narrative. AsAP isn’t about slow for the sake of slow: That’s not just inefficient… it’s silly. Walking is slower than flying, but it’s not inherently better. If I walk to my meeting next Wednesday in New York City, I wouldn’t be writing this on a Sunday—because I’d need to leave right now to make it on foot in four days. As slow As Possible means slowing down at the best moments to deliver the best possible results. It’s about understanding where to slow down and spend our mental energy. How do we recognize those critical “slow moments” that we need to embrace if we want to live our best lives? What’s a Slow Moment, Anyway? A few weeks ago, in response to my post about the need to rebrand ASAP or As Soon As Possible into AsAP or As slow As Possible, Paul Taylor asked a challenging question on Twitter. Move slowly at critical moments? I’m struggling with that one! So yeah, how do you know when to pump the breaks (and avoid an accident)? How do you know when to slow down? And, conversely, when not to? How do we grasp a better understanding of where to slow down and spend our mental energy for the best possible outcome? Here’s what I’ve come to. With the science to back it up. But first… a story about felt-tip pens. 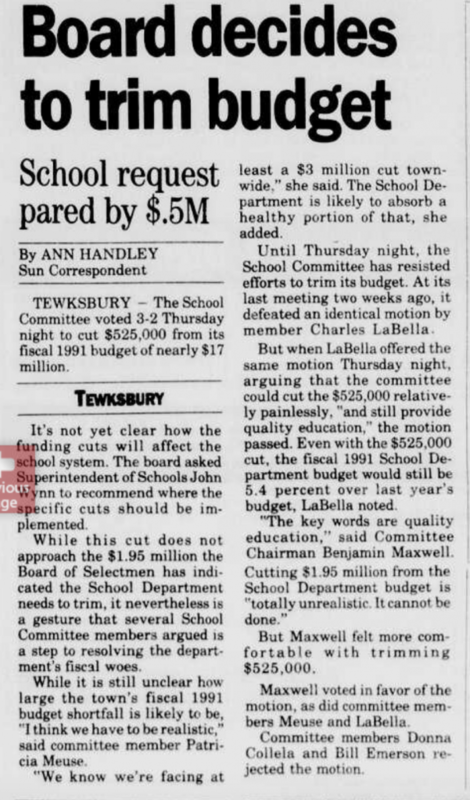 I started my career as a journalist, covering municipal planning board meetings and the occasional school committee meeting for a small town outside of Boston. Elected small-town officials have day jobs, and so the weekly meetings took place in the evenings after everyone drove home and ate a quick dinner. In the meetings, the committee sat up front, behind a long table dotted with microphones. Sometimes the room was full of citizens interested in a certain issue up for a vote that night. But often the meetings were sparsely attended. Still, I admired the seriousness with which the town officials approached their elected responsibilities—ensuring a quorum, reaching consensus, following Robert’s Rules of Order with the gravity of the Supreme Court. For small-town officials throughout the country, there is nothing frivolous about their roles and little too trivial to discuss. And there is something noble in that. The meetings usually took place in the upper meeting rooms inside stuffy town offices or, sometimes, empty school classrooms. As a news reporter, my job was to take notes on everything a board discussed. The committee talked. I wrote. I’d take notes sequentially, flipping the pages as we went. I wrote with a black felt-tipped pen. Because felt-tips flow easily on a page, drying instantly and not smudging. That mattered only because I am a lefty, which means that ink or pencil lead makes a mess as my left hand trawls through whatever I’d just written. If you are a lefty, you know what I mean: you know how the left side of your hand pretty soon starts to look as black and greasy as a machinist’s. I also like the way the felt-tipped pen… well, felt in my hand (ha! ), and the way that some brands referred to “felt-tips” as “magic markers”—because what writer doesn’t relish the notion of a little magic in her writing...?! But most of all I liked the way a felt-tipped pen required very little grip from me. I could point it loosely toward the paper and lazily move my hand across the page, without looking. Felt-tipped pens let you write quickly without thinking too much about the actual mechanics of writing, which is a key skill when you are trying to listen hard and capture precisely the look on council member Patricia Meuse’s face when the guy to her left rolled his eyes to disagree with her comment. After the meeting adjourned, I’d drive the 6 or 7 miles to the newsroom offices. As I drove through the dark I’d be thinking all the way about the night’s discussion, and turning over in my mind the focus of the story or two I’d write. It was late to be starting work—usually 10 or 11 at night. But in the newsroom there’d be a kind of a party going on, as all the local reporters from all the surrounding towns clocked in, too, fresh from their own school committee and selectmen and planning board meetings. We all sat at word processing terminals. I remember them as hulking and huge machines: similar in size to a Starbuck’s barista’s, and just as complicated. I’m not sure that’s totally true: Time has a way of making so many things a little more outrageous than they actually were. But what is true is how—when you switched the machine on and it warmed up—it groaned a little, like it wasn’t planning on working tonight. (I feel ya, buddy.) It took a few minutes for it to get used to the idea, until (OK, fine!) it signaled the go-ahead of a blinking green cursor on its black screen. And then I’d write my story. Or (some nights) stories. As I wrote I’d flip the oblong pages of my reporter’s notebook, back and forth, searching for the moments and quotes that would flesh out the story I’d already formed in my head. I read over the evening’s actions—what actually happened, what people actually said and how they voted, the asides or follow-up questions in the margins—but also I’d review other things I’d captured: that eye-roll from that guy, the reaction of any crowd, the way the room smelled of sweat and supper and floor polish wafting in from the custodian in the hallway. Finally, when I was done, I pressed a button, and my article was sent by the giant barista’s terminal in front of me to the barista’s terminal in front of the copy chief. The copy chief sent it to the printing department’s barista station, one floor below. Words swooping through the air and ducking and landing like magic is commonplace now; we no longer marvel at it. But 20 years ago, it felt like a miracle: What a time to be alive. The next day, my article would appear in the newspaper. I stopped covering town meetings a long time ago. I let go of my habit of carrying that skinny reporter’s notebook everywhere, too. Then in 2009, I was researching my first book, interviewing brands and experts for Content Rules. Only this time, I didn’t use a notebook for my notes: I used my laptop. It was faster. More efficient. And my notes were more fleshed out and thorough. But here’s the funny thing: They lacked something else. I needed to go over each interview a second time with a fat yellow highlighter, picking out the salient points, mining for the key ideas and connective tissue that linked thought to a bigger issue, and trying to recall how I felt when I heard this point or that. Sure, the laptop was faster: I got more words down, the record was more complete. But my notes read as a transcript, not as a narrative. And when I sat down to work on Content Rules, I felt unclear about where to begin. My typed notes may have been comprehensive, but they lacked meaning. I had a better record of the conversation. But I had a harder time distilling an interview to its substance. I hadn’t been able to internalize and synthesize the information. I thought back to that reporter’s notebook and the felt-tip pen. I remembered the way I captured nuance: how things were said—not just what was said. And I remembered the way that I somehow got a better grasp on the key points and main thrust of the interview, and I’d be ready to write when I arrived at the newsroom, late at night. Why would that be? What would the more complete record—the typed notes—be somehow less efficient? When I took notes for Content Rules, I had a better record of the conversation, but I had a harder time distilling an interview down to its essence. When I took notes by hand as a news reporter, I was able to sit down when I got back to the newsroom and bang out a story—more quickly—because, in the words of the researchers, during the note-taking I was “actively processing.” As a result, I had a deeper sense of the substance of the meeting. In other words, my slow note-taking—a Good Slow, a strategic slow—allowed me to write faster when I sat down to write. But, writing out the entire article long-hand—a Bad Slow, a tactical slow—would have been excruciatingly inefficient. Instead, using a keyboard on that barista beast allowed me to get my ideas out my head and onto the beast-screen—much faster. And THAT is the essence of the slow moment: The note-taking phase—and its equivalents in other endeavors—is a critical moment for slowing down and spending some mental energy in order to later achieve the best possible outcome. I work with a felt-tip and paper whenever I need to think big-picture. I slow down and use paper when I want to sketch out an idea, or plot out a big initiative, or think through an issue. But I need to use a keyboard when it’s time to share those ideas. In those moments, faster is better because it unlocks the “iterative joy of writing—the ability to race along, to sketch an idea out, to go back and change it, and to move back and forth as you move,” says Clive Thompson in a 2015 talk at INBOUND. If we want to take in knowledge, we should slow down and use a felt-tip. And if we want to understand and retain knowledge, we should use a felt-tip. Because the researchers also found that students who took notes on laptops performed worse on conceptual questions than students who took notes longhand. But if we want to produce something important, we should use the faster keyboard. And we should type as fast as we can, so as to reduce friction and get The Ugly First Draft out of our heads and onto the page as quickly as possible. Cool story, bro. So what does it have to do with Paul Taylor? Let’s look at the As slow As Possible framework to figure out how. In the framework, the X-axis is the Urge to Act: “Whenever” vs. Now. The Y-axis is Impact on others: Massive vs. Miniscule. The As SLOW As Possible framework is a kind of psychological Adderall to help us discern when it’s time to slow down. But, still, my article would have massive impact on others—it was to appear in tomorrow’s newspaper and would be read by thousands. So I was thinking slow (listening to the issues), and acting slow (using a felt-tip). Then it came time to write—the urge to act moved right: from “Whenever” to “Now” because I had the evening copy chief and the printing press waiting on me. I still was thinking relatively slow as I wrote—I needed to take care with how I wrote—but the process needed to be faster. So, it was time to put down the felt-tip pen and turn to the keyboard. You might notice that it took me over a month to respond to Paul’s tweet to me. He asked me to clarify “AsAp” on February 21. Now, it’s April 25. What took me so long, eh? Here’s why: Paul’s question to me represented a Slow Moment. So I responded… well, slowly. The truth was that until Paul asked the question, I hadn’t thought through my ideas fully. (I’m still not done. But I’m further along.) The AsAP ideas weren’t just half-baked: They were still whirling around in the mixer bowl of the Kitchen-Aid, blending together into something that (with some effort), might transform itself from its raw form into something substantive. But I needed to put in that effort. In Marketing, that kind of effort is worthwhile only on Slow Content marketing pieces: larger, more substantive, often long-form work that represents a foundation for other marketing. AsAP is an important concept I’m working on, and that to me means I needed to deliver not just a thoughtful response. But also… well, my best thoughts. If I want this concept to have Massive Impact on Others (and I do), then I need to slow down my thinking and writing until I had something useful to share—and not just more… well, noise. Your turn. Talk to me. There is certainly such a thing as a bad slow in business: Moving too slowly, and missing opportunities because you just can’t there fast enough. 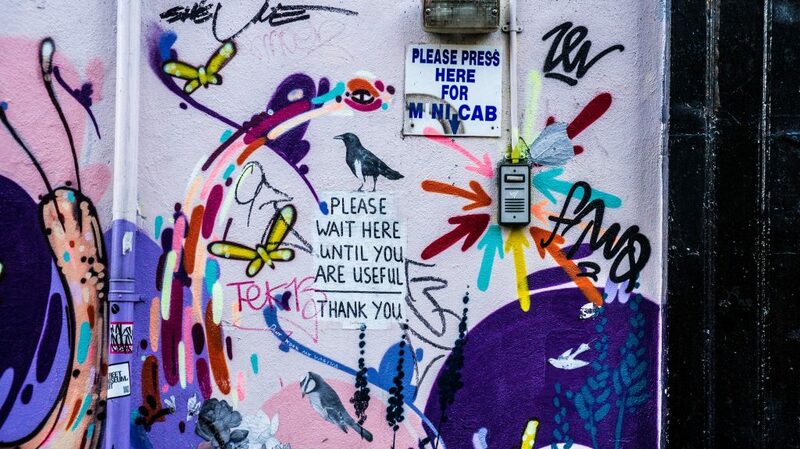 But the revolutionary idea is that in today’s world there is a critical need for a good slow, too: Because moving slowly at the right time can both ignite our best work and help us thrive in a world that seems to challenge us every minute to hustle a little faster. My framework seeks to deliver a better understanding of where to slow down and spend our mental energy for the best possible outcome. I’ll get a little more specific with the seven places where it’s critical to adopt an AsAP mindset. I’m pledging to adopt the AsAP framework myself, and I’d love to hear if you find it valuable, too. What Slow Moments have you experienced? Are you willing to apply the framework to your own decision-making? Are you ready to accelerate your own life and work by trying to move AsAP? Ann, I truly enjoyed the post and most certainly resonated with the #leftyprobs you described. Tht struggle is real when using writing utensils, especially pencils. Michael: I love this. Thanks so much! Maybe the trigger to know *when* to move slowly here is during critical communications — whether one-on-one or to many (an audience), when the goal is to be understood in crystal-clear terms. It’s a complex topic. You wrote beautifully about it. I have learned that some folks are what you may call an audible learner but I am a written learner, I learn by ‘taking notes’. I read someplace Ann and I don’t know where that our hands are very connected to the brain & the learning process, relevant especially because I severely injured my left middle finger in a fall and for a long time every time I talked about it I would get very emotional, so maybe that’s why. However, it’s the process of writing that enables me to learn any topic better, than simply listening to a lecture. That essentially slows the topic to a time to process by writing it I would suppose. However my son only needs to hear to learn the same topic equally well. The same with directions, I will inevitably have to slow the speaker AsaP so I can write instructions down. I hope my experience helps but I definitely see the need for as slow as possible, often. Now more than ever now that I also have the gift of grandchildren. Thanks Susan I appreciate your thoughts here… much to consider! LOVE the “Barticle”. I do know that when I try to rush things I am not as articulate as when I take my time with things. Gotta meet deadlines, but be professional and great while doing it! Thank you for the insight! Thanks, Lisa! And thanks for chiming in here! Thank you for the lovely article/book. I, too, am an inherently impatient person. Yet, I could not agree more (nor could I admire more your beautiful and insightful style of writing!). Moreover, I am a visual person, so whenever possible I tend to use coloured pencils for taking notes at full-day events, for example. The colours allow me to go one level deeper into the slow-processing of the topic at hand, and create visual links to my notes. Finding the essence from those notes is then very fast, and actually quite often I remember the beef(s) without much help from the notebook. It allows me to write my own interpretation on the topic, including examples from my personal experience, quickly and effortlessly when needed. When I go back to old my notebooks years later, I can also travel back in time to the exact atmosphere of each significant event: to recall my feelings, the agitation of the speaker to some irrelevant question, the smile of the stranger sitting next to me, the warmth of the sunny spot on my desk, making possible a more authentic revisiting to my mind as well as the topic. The time in between might have brought new perspective to the key issues, as more recent experiences reflect another possible reading of the notes, without loosing the initial impressions. I truly embrace the Slow. Cheers to slowing down and using a felt-tip. Clink! I love it, Craig. And I’m the same, of course. It may just be my soft spot for things laid out in two-by-two grids, but this really resonates with me. Oftentimes, particularly in content, there’s a push to get things done quickly and constantly – whether or not that’s the right approach. I do find my notes by hand are more helpful and I recall things better, but I’ve certainly found that as I’ve moved into typing all day, my handwriting speed has suffered immensely, compared to my university days. So there are some times I resort to notetaking on my computer because I know I won’t be able to keep up with my notebook – missing important details. I get that, too. I sometimes can’t keep up. One thing that helps me is to go over the hand-written notes almost immediately post-meeting, fleshing out important things and details before I forget them. I find that when I re-take the “steps” (so to speak) I recall way more than I expect I will. Wowzers – in the middle of reading this article – which kinda turned my brain inside out (in a good way) I suddenly got a load of clarity on an idea which has been mushing around in my head for probably months !! So thank you so much for getting me to slow down to read this article, to think through the concepts and, in so doing, allowing my mind the space to stretch and connect some dots! And that’s a small part of it, isn’t it? In this always-on world, we allow ourselves to be overwhelmed with content, to be over-stimulated to the point of drowning, as (in my case anyway) it feels like we’re achieving something (what?!!) without actually doing what might be seen as harder work – thinking for ourselves, joining the dots, giving our minds time and space and permission to wander. But it’s only when we do that, I’m thinking, that we allow those real ideas in and that we then allow ourselves the luxury of expanding on them. So by saying yes to AsAP – we could be saving ourselves from drowning! This is a thoughtful article. I still take notes by hand. I find it much easier to write that way. In today’s fast-paced society, we need to slow down at times to do our best and most creative work. Thank you! Glad I took the time to slow down and read this today Ann. I have a notebook, nay a stack of them, where I keep the notes I find myself referring back to on a regular basis to jog locked memories; something I’m certain I wouldn’t/couldn’t do with digital versions. Thanks for reaffirming my analog loyalty. Likewise, thanks for the reminder to occasionally take a step back and listen, either to others or yourself, and really hear what often needs to be distilled from within the noise, rather than simply adding to it with ineffective busy work. Allowing slow moments is essential for creativity on all levels – writing, design, decision making and managing business. This winter I treated myself to a hike every Wednesday afternoon right in the middle of my workday. 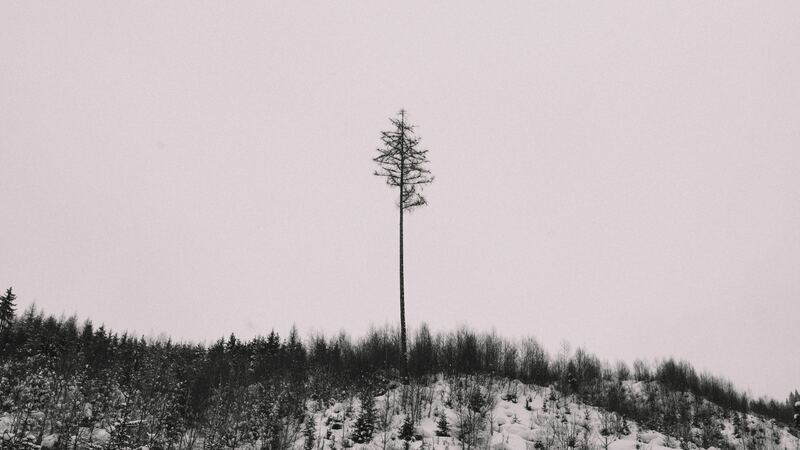 I’d completely unplug – no phone, no email, no internet. Halfway through the hike ideas started flowing to me. Answers came to me easily when I gave myself space to unwind and relax. Writer’s block disappeared. Taking time out to slow down can be really scary because it feels like playing hooky. Like the most unproductive thing to do in the middle of your day. But it’s effective and good for your overall health. Constantly being in the fast lane can take a toll on your body. Keep telling the world about AsAp Ann because we there’s a place for it in our lives. I’ve fallen into the trap of transcribing meetings only to look back with frustration because what I captured lacked any sense of motion toward goals or salient points decided. Your’re spot on with this, Ann. To create, I’ll switch to pen and paper or, for bigger ideas, a whiteboard I’m blessed to have in the office. I can leave the ideas marinate on the whiteboard for days or weeks. Sometimes they’re wiped away, unfulfilled, but the best ones make it into that eager, earnestly typed note to team members. I’ve been fond of the idea you need to allow your brain to work on things. This comes into play in AsAP for sure. It’s also way more fun if you give yourself the time to find that a-ha moment. But what I’m struggling with here is how do you carve the time to prep when you’re working through the top half of the quadrant — the think slow quadrants? I am with you on the breakdown. I think it’s strong. But how do I find the time to back that up? Maybe it comes down to time management, prioritizing correctly, setting expectations, a project timeline, and a whole lot more. I’d like to explore that. I also love that money doesn’t have a place on either axis — at least not directly. The variables are another area that would be interesting to define more: time and amount of people affected. Does it make sense to dive deeper into the parameters for these two variables? In any case, great article! I’m sharing it left and right. Awesome and great post. Thanks for sharing this. I like the points mentioned by you & i thoroughly enjoyed reading this article. You have elaborated the meaning of AsAP in a very beautiful way. AsAp means slowing down at the perfect moment to get best possible results. It is important for every person to know that where to slow down & where to use our mental energy. Its true that AsAP is a key for getting more success, real results & for less stress. Allowing slow moments will be helpful. It is also necessary for ever person to know that how to catch a better understanding of where to slow down and where to utilize the mental energy for getting best possible outcomes. Therefore allowing a Slow down at the best moment is really important. The story about felt-tip pens & for finding the focus are great. Its true that students basically cannot write as fast as they can type. Therefore taking notes by hand forces them to determine which information is more important for them. As your slow note taking is a good & strategic slow and allow to write faster, whereas writing out the entire article is a bad slow. I like your 3 ideas for exercise in switching back to felt tip. Its true that if we want to produce something important then we should use a faster keyboard & type as fast as we can to get onto the page. The Asap framework mentioned by you are great and will be helpful. Very helpful post. As this post will motivate many people to allow slow down at the best moment. Thanks for a sharing.